THANK YOU to all of our 2018 Carnival Volunteers who helped make last year’s carnival such a big success! 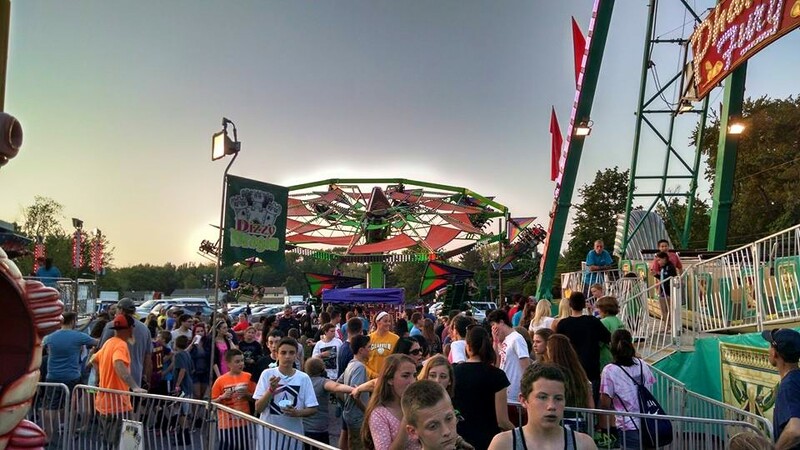 THANK YOU to everyone who came out to ride the rides,enjoy the food and live music, and to support our parish and school. May 20th – 25th, 2019. During the Carnival Week $45 – MegaBands will be available for purchase for $45 during each night of the Carnival. 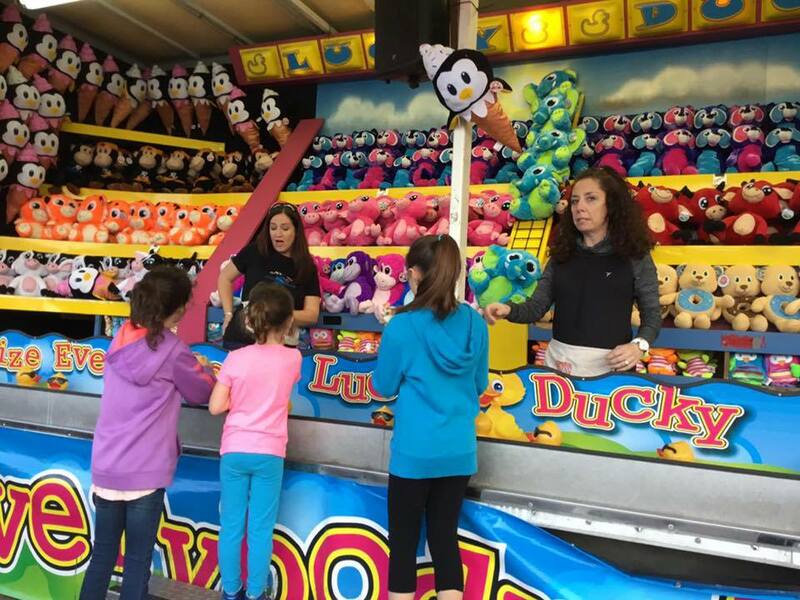 Wristbands are purchased on-site at the ticket booth at the carnival site. Please note, once the MegaBands are put on, they MUST be kept on the wrist until the Carnival ends. If they are removed, you will have to purchase a new one. NO EXCEPTIONS! These are the rules of Skelly Amusements and the Carnival Committee has no say in this matter! Ride height restrictions are the same for MegaBands as they are for the ride tickets. 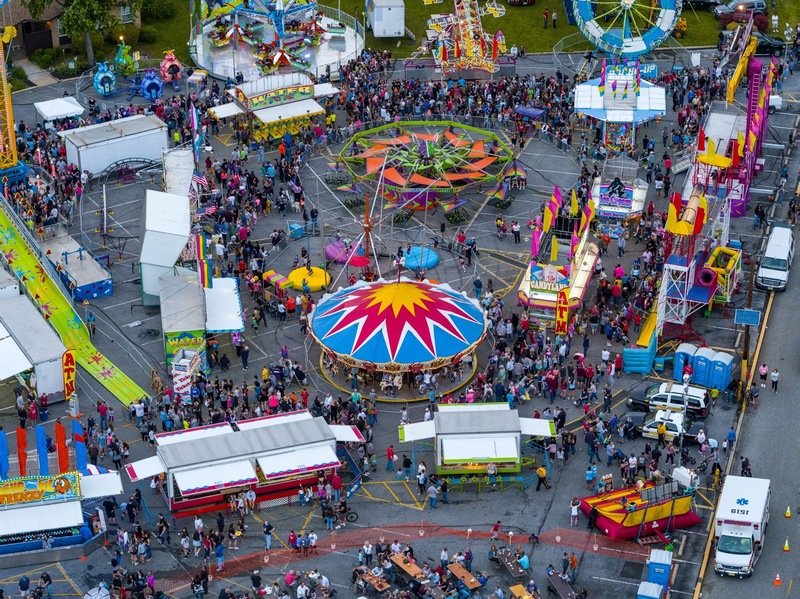 Wristbands are purchased on-site at the ticket booth at the carnival site. Should you have any questions, please contact megabands99@gmail.com. 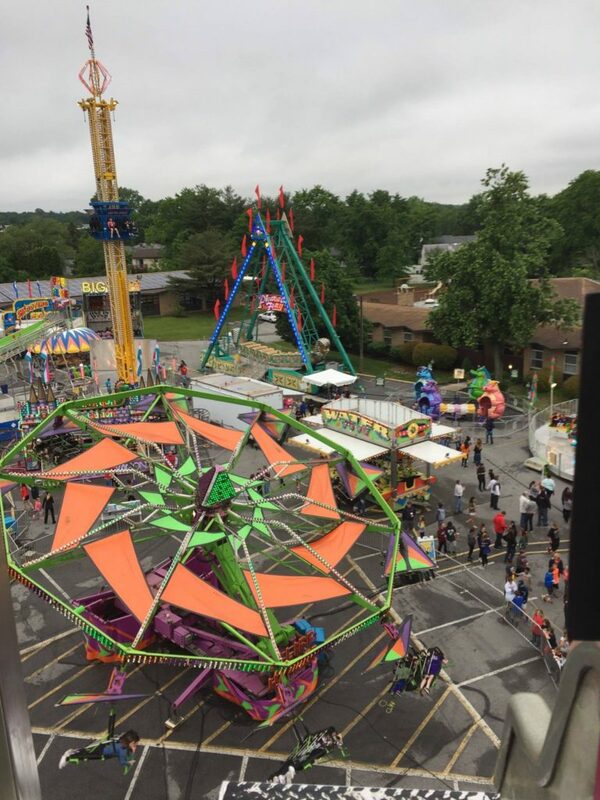 Come Volunteer at the Carnival! Each night we need approximately 60 volunteers to staff the Food Tents, Beer Garden and Games. Volunteers are needed from 5:45pm – 10:00pm (11pm on Friday and Saturday). 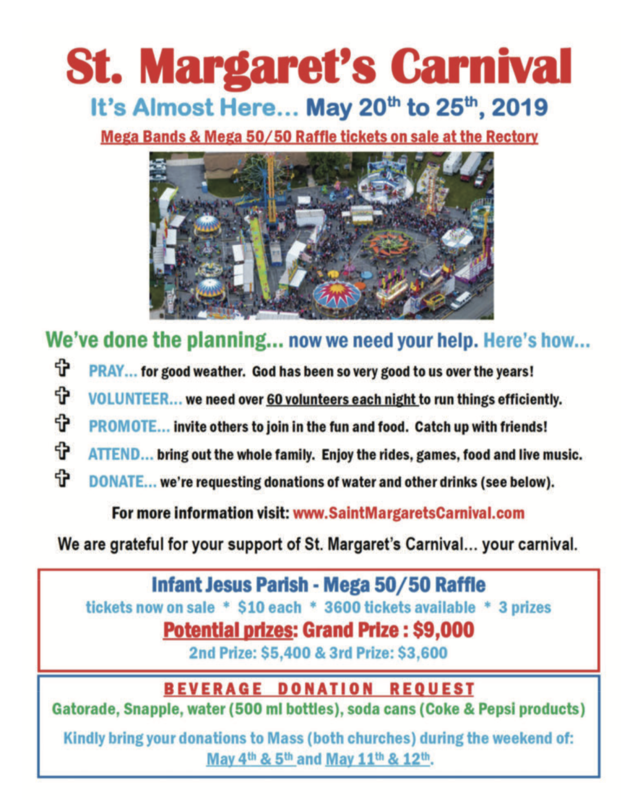 If you would like to volunteer, please contact the Infant Jesus Rectory at (856) 848-0047 or send an email with your contact information to Megabands99@gmail.com, and a Carnival Committee member will contact you. Thank you!